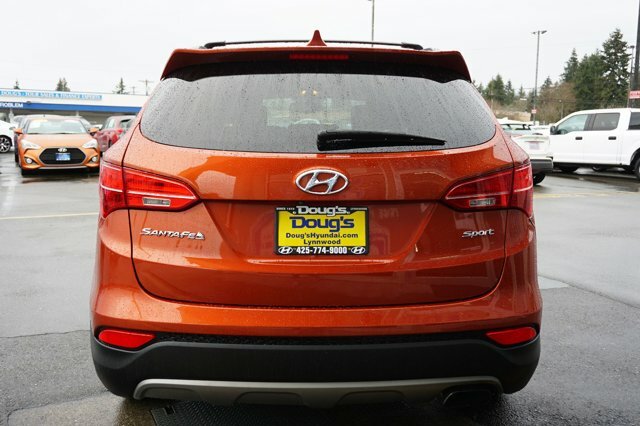 Find a great sale price on this 2016 Hyundai Santa Fe Sport 2.4 w/Popular Pkg at Doug's Credit Center in Lynnwood WA. This 2016 Hyundai Santa Fe Sport 2.4 w/Popular Pkg is located at our dealership in Lynnwood. We also serve the cities of Seattle, Everett, Bellevue, Tacoma, and Bothell. So if you're looking for a great price on this 2016 Hyundai Santa Fe Sport 2.4 w/Popular Pkg or just looking to get an auto loan for the vehicle you want... you've come to the right place! Doug's Credit Center.